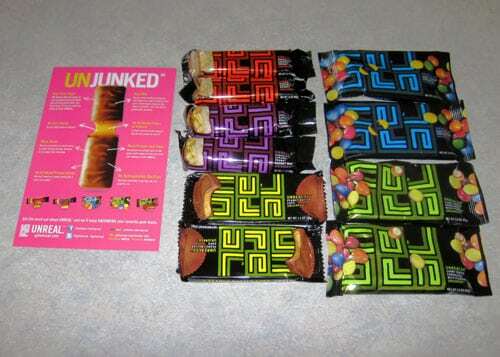 When we enjoyed our samples, one of the first things I thought was that the UNREAL™ products tasted more like I remember candy tasting when I was a kid. The peanut butter tasted like peanuts, the chocolate tasted like chocolate. 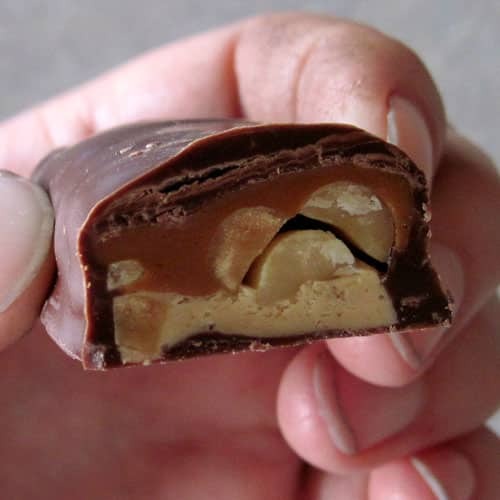 The last time I purchased some of the mainstream brands (even when I purchased another brand of “natural” peanut butter cups), they were sweet, bland and had a rather waxy texture to the chocolate. Not so with the UNREAL™ treats. If I'm going to splurge on eating something sweet, I prefer to splurge on something that tastes good and is “less bad”. While the UNREAL™ products don't qualify as health food, they do contain less sugar and more fiber than a typical chocolate candy. For example, Peanut M&Ms™ contain 250 calories, 25 grams of sugar, and 2 grams of fiber, while Unreal candy coated chocolate with peanuts contain 200 calories, 16 grams of sugar, and 3 grams of fiber. I'd like to share a few questions and answers from UNREAL™. UNREAL™ is starting with candy, because it’s the worst offender when it comes to “junk” – corn syrup, hydrogenated fats, GMOs, artificial colors, flavors and preservatives. To “unjunk” means to replace all these ingredients with real cane sugar, real milk, more peanuts, and twice the cacao. What makes UNREAL™ products unique? 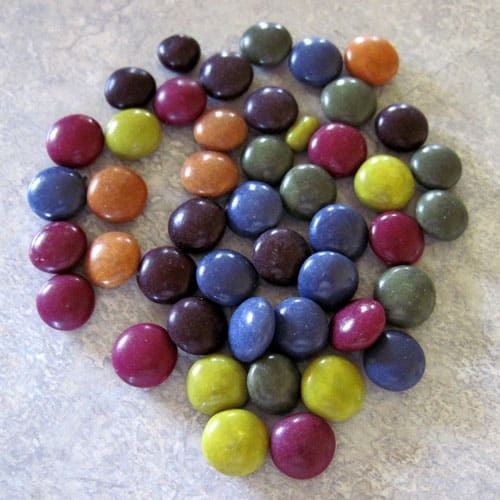 Our candies contain no artificial flavors, preservatives or hormones; no GMO’s (genetically modified organisms); no hydrogenated oils; and no corn syrup. Instead, we use real sugar, natural oils, and real milk. Also, you don’t need to travel to a fancy health food store or pay a premium to buy our candy, it’s only available where junk food is available. Does UNREAL™ use any corn syrup? Nope. In fact, our candies are 100% corn-free. No corn syrup, no corn oil, no corn in anything we make! How much does UNREAL™ cost? All pricing is at the sole discretion of the retailer. As a company, it’s our intention to ensure that UNREAL™ candy doesn’t cost any more than what you’re used to paying for candy. We make our candy in the US & Canada. Where can I buy UNREAL™ products? What's UNREAL™ candy look like? Like candy. Since the colors are vegetable based not synthetic, they are different from your typical technicolor candies, but still bright and appealing. 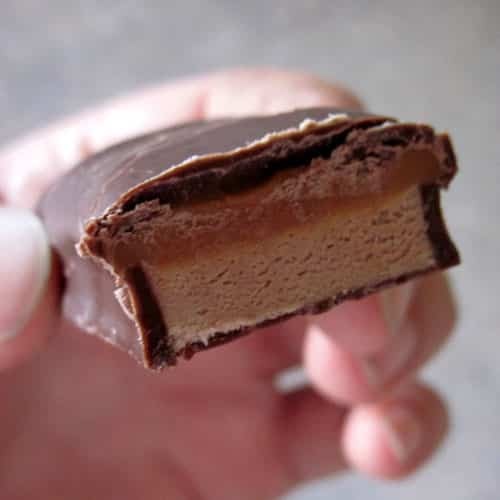 The peanut butter cups have a nice distribution of chocolate and peanut butter. 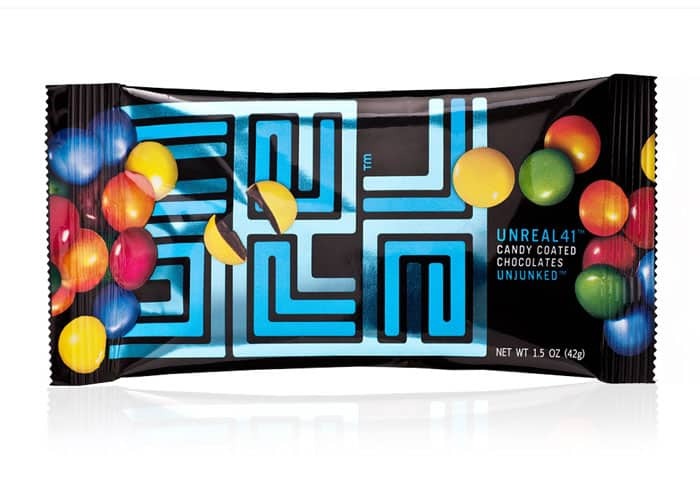 Win your own sample pack of UNREAL™ candy! You can use the rafflecopter widget below (subscribers, click through to the site to enter) to enter to win a sample box of UNREAL™ candy. Just leave a comment below about why you'd like to try UNREAL™, or tell me which package of candy is upside down in the photo above. 😉 Additional entries can be obtained by Facebook and Twitter. PS – If you're wondering why I'm doing somewhat of a strange mix of giveaways lately, it's because I'm on some eco-mom blogging lists. Next week will have the e- books “Wounds” and “Burns” from the Survival Doctor, after that there's a Mavea water filtration pitcher. I have never tried this candy, but would love to! the bottom left is upsidedown and I would love to try them because I am a total chocaholic that has a junk free home. My palate is primed for testing this new and better breed of chocolate candy! I would love to try this candy because I love candy! I always knew that was the one thing that would be tough to give up and even thought of trying to make it myself…yeah not enough time. This looks like a great replacement. I’d love to try the candy bars. The lower left looks to be wrong. This stuff sounds good! I am a teacher getting ready to go back to school and trying to find healthier choices for eating that are easy to pack & take with me. I feel better if I’m giving my son a sweet treat now and then that is healthier. If these taste good & they are the same price, then I’m sold!! Can’t wait to find out. 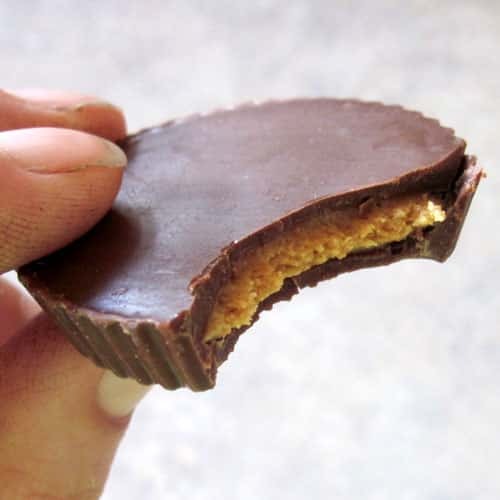 The last peanut butter cup is upside down. I have had a MI and several strokes trying to do healthy like sweets and get a lot of enjoyment from contests! I am so intrigued by this candy! Ever since I was diagnosed with type 2 diabetes, I have been extra aware of what I am putting into my body. It will be nice to be able to savor something that isn’t loaded down with so many chemicals 🙂 I can’t wait to try these!! As much as we try to keep our kids away from “junk” food, its hard to resist giving in to a treat every now, so I would love to try these out! Thanks. We would love to try UNREAL Candy! What a wonderful “less bad” treat! That nougat one has my name on it. You are right, candy tastes different now, and not in a good way. I don’t count calories but I do try and limit sweets and junk type foods to a special treat a couple times a week. So I’m not going to eat crap if it IS a treat. I had given up all hope of eating candy because of all of the junk it contains … I would love to try something that is “unjunked” and still chocolatey and yummy!! The upside down package is on the bottom left of the two columns of candy packages. The candies look so delicious!! Hi, I stumbled your way from lil fish studios and am looking forward to browsing your archives! I would love too try the Unreal candy. Why? Because I like candy, especially peanut butter cups! With a six-year-old who LOVES candy, we’re trying hard to find alternatives (fruits and veggies from our own garden, raisins and other snackable fruits, etc.) but these might be a great way for us to “treat” him while being a bit more sensible than the usual candy in the stores. We’d love to see if these also past the taste-test of our more-discerning 13-year-old! This looks to good to be true. Would love to have some right now!! Yes, the bottom left pakage of candy is upside-down. Oh these look great! I love candy and have been trying to stay away from the regular stuff- what a great alternative. And it looks like the peanut butter cup package is upside down. Would love to get to try these. One of the peanut butter cup packages is upside down. the bottom left is upsidedown! I am so excited about trying this candy that is made of real stuff and not all those chemicals! I love candy!!! Bottom left is upside down. I would love to try these, would be awesome to have a substitute for all the garbage out there! This candy looks delicious! The second candy on the bottom from the left column is upside down. Yum! Would love to try. My boyfriend & I have been eating real foods but our one downfall is CANDY! It’s so hard to stay away from, and although we try to limit our intake, I would to love introduce a healthier/more REAL option! I would love to try it because I love chocolate!!! 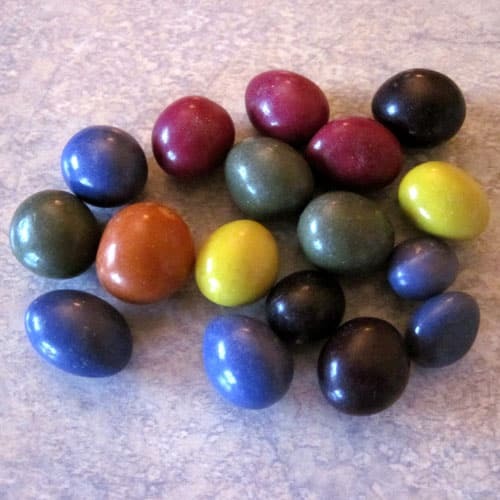 I would love to try Unreal Candy because I want to be able to give my sons a little sweet treat without worrying about filling up their little bodies with unhealthy ingredients. I would love to have the tastes that I remember from childhood. You can’t find that these days. I’d love to try them because we are trying to eat healthier in our home. The bottom left package (peanut butter cups) is upside down. I would like to try your product because, I currently will not buy any candies because of all the other garbage that other manufacturers use. It would definitely be nice to have some candy that is real. I would love to try these. I had never heard of this candy, but I’ll definitely be checking it out. I would love to try this candy because it doesn’t have the usual “junk” you would find in the usual sweets we buy. I love candy and I would love to try some that is somewhat better for me. I’m a serious chocoholic, and I’m always looking for healthier ways to feed the habit! Plus, I’d like my kids to try them to get away from the mainstream candies with all the corn & artificial colors/flavors. We have tried a few of these, and they are good! 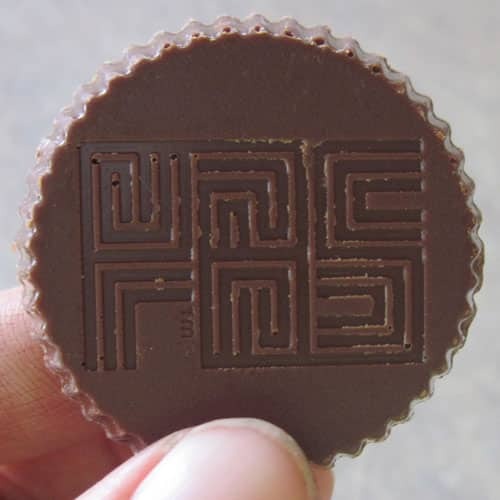 The peanut butter cup is upside down. Also, the bottom left candy is upside down. I’d like to try Unreal candy because I love chocolate but I also try to eat healthfully. I am excited to try some unreal candy! If I don’t win I’ll have to go buy some 😉 Middle column, 2nd from the bottom is upside down. I would love to win some of these for my son. He has major reactions to “bad colors”, and feels left out frequently when he can’t have the fun treats others can have. He would be so excited! This candy looks like a great choice. I’d like to try the candy primarily because I am having a huge chocolate fix today. But I’d like my kids to try them because they have adverse reactions to all the crap in conventional candies but I’d still like to indulge them on occasion. This looks like a great choice, although I wish it didn’t have soy or agave. Do you know how hard it is to find candy when you can’t eat corn syrup? I do! Can’t wait to try these. Awesome candy. I bought a BIG bag at B.J.’s and 2 days later it’s just about gone. I just keep saying to myself…It’s healthy LOL. I would love to taste the difference in the texture! I would love to try it to replace my usual ‘junk’ food fix I crave every afternoon around 3:00!!! I don’t let my kids eat candy because of all the artificial “junk” in it, but I would seriously let my 2 year old try this candy. Can’t wait to get my hands on some! tried a little sample today, SO GOOD! such a great idea for someone who has a sweet tooth like me! Trying to clear the house of junk foods and would love to try something that isnt junk and still taste good. A sweet treat without all the unhealthy junk, would love to try it! There was an article in Fast Company and now I want to try it. I’ve avoiding normal candy bars because of the sugar. Thanks for posting this! These are still a treat, but they definitely have less mystery ingredients than more retail brands. The giveaway is closed, but you can still find these products at many retailers. I have tried your candy. I found it while visiting in Texas. I like it because I am a diabetic and also allerigic to a lot of preservatives. the Peanut nougat bar reminds me of a Snickers which I miss. it is a nice treat. The package on the bottom left is upside down, and the reason I’d like to try UNREAL is my grandchildren should be able to eat treats that taste like they did when I was a child. I cook everything from scratch, but that becomes harder each day as GMO fed animals, GMO treated fruits and vegetables, etc. invade our markets, and heirloom seeds become harder and harder to find. I would love to get my grandchildren on real candy!!! I am very anti GMO and all things unnatural!